Watch the Valley's LONGEST RUNNING comedy showcase every Tuesday Night. John Henry hosts this night of laughs with some of your favorite Phoenix comedians and great out of town guests. 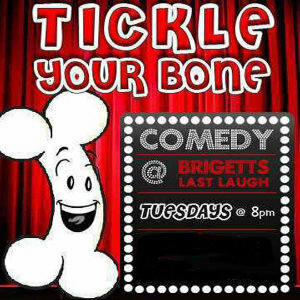 You will find the FREE comedy show nestled in a backroom at Bridgets, a North Phoenix favorite. Get there early for the 8 PM start time to assure a seat, and to enjoy their Taco and Mexican beer specials. John Henry hosts this night of Phoenix comedy favorites in a great North Phoenix setting.